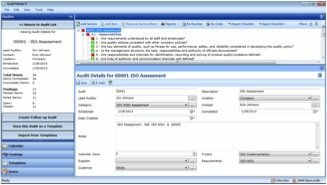 Audit Master 4 gives you the tools needed to detail an audit’s scope, establish auditing frequency, & conduct audits in accordance with ISO and other industry standards. Displays a listing of the pending, completed, and/or overdue audits. 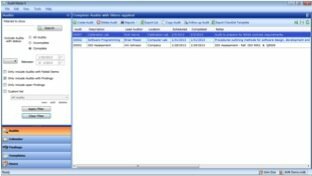 Quickly locate audits to enter audit data or check an audit’s status. 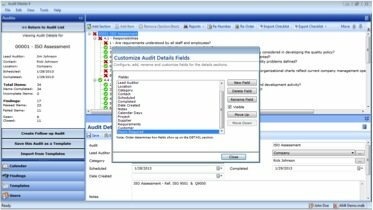 This data-entry form includes fields to describe the audit and identify the auditor and current status of completion. This is the checklist being used to complete the audit and shows whether each item has passed or failed. Each item can also have notes to describe why the item passed or failed. 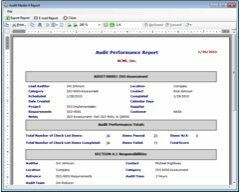 Instantly print the information you are looking at on the screen or generate detailed reports on Audit, Audit Items, Auditors and upcoming Audits. 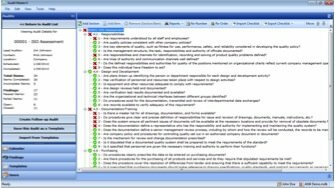 Audit Master is designed to be as easy to use as possible, but help is always available if it is ever needed. View all the audits for your entire organization, or see only the audits performed by specific auditors in a particular week. 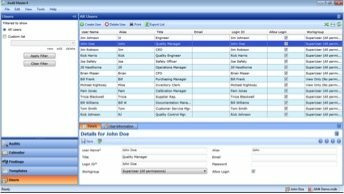 Powerful filtering capabilities let you pull just about any type of information from the database. 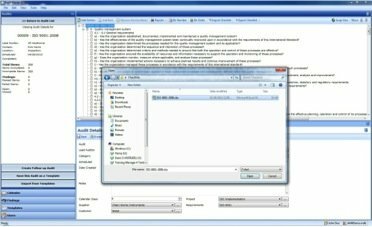 By using a password protected database Audit Master 4 allows you to control the database access that each individual user has to individual records and the control what rights they have within each record. 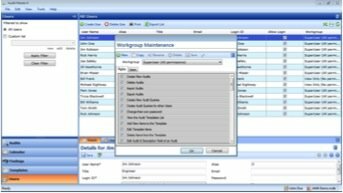 By placing users in workgroups and then using workgroups to control access and assign record responsibility the time spent controlling access is significantly reduced. Tailor the program to use your own terminology. 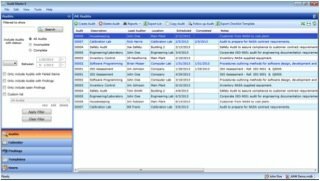 Fields can be added, removed or changed to fit the specific needs of your organization. 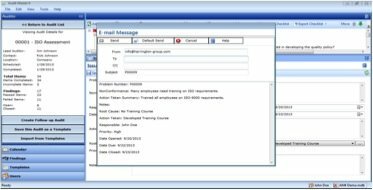 Audit Master 4 now provides native e-mail communication. When scheduling a new Audit or updating an existing Audit it’s now a matter of just a few clicks to send notifications and updates to all involved parties. Streamline the ISO certification process by utilizing the included ISO 9001:2015 compliance standards. 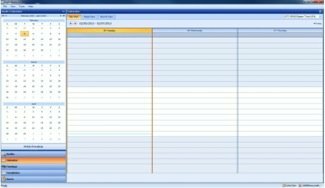 The included Audit calendar is a beneficial tool to help auditors keep track of important audit scheduling dates so they are always aware of when audits are due. The HGI team designs and develops cost effective business management tools that will evolve in concert with your business as it grows. Copyright © hgint. All Rights Reserved.